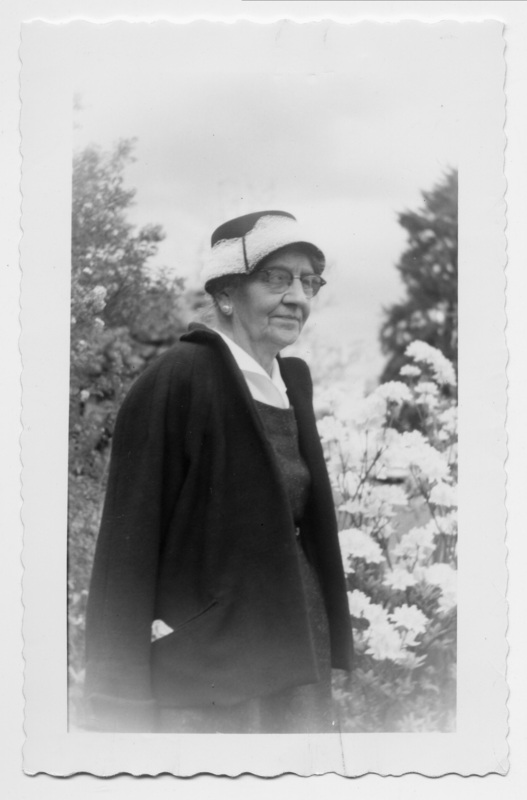 Mrs. Lucia Bliss; 1st Librarian 1933-1947; Taken in Mrs. Truchot's garden May 1960. Description Same as 291b and 291c. Deckled edges. Transcription Mrs. Lucia Bliss; 1st Librarian 1933-1947; Taken in Mrs. Truchot's garden May 1960.